Mid-September through Mid-October marks Hispanic Heritage Month, a time dedicated to celebrate the cultures and contributions of Hispanic Americans. In September, the White House Initiative on Educational Excellence for Hispanics awarded 230 organizations with the title of “Bright Spots” in Hispanic Education. Bring Spots awardees have wide-ranging missions and goals, but all support Latino educational attainment and excellence. One Bright Spots winner is RISE Colorado, a nonprofit based in Aurora, Colorado that works to provide low-income families and families of color with the knowledge, skills, and resources to identify and work on issues they feel are necessary to create educational equity in the public school system. 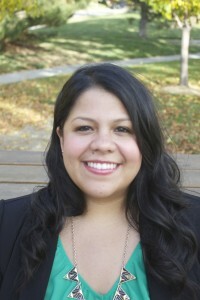 Founded in May 2012, and currently led by Milagros Barsallo and Veronica Palmer, RISE Colorado has educated 1,070 families of 1,914 school-aged children about the opportunity gap and worked with these families to organize campaigns and assume decision-making positions at school and district levels. RISE Colorado is flipping parent advocacy on its head with a community-focused model of organizing. Barsallo and Palmer’s journey as young, Latina women entrepreneurs breaking the mold in a crowded advocacy space has not been an easy one, but their victories thus far and the passion of the families they work with fuel their desire to push forward. I spoke to Barsallo and Palmer over the phone to learn about the impact RISE is making in Colorado since its founding, the policy areas of most interest to the families they work with, the progress they’ve made, and the challenges they face. Kaitlin Pennington: There are a lot of advocacy organizations in education. Some may even argue that there are also several parent advocacy organizations in education. What space is RISE filling? 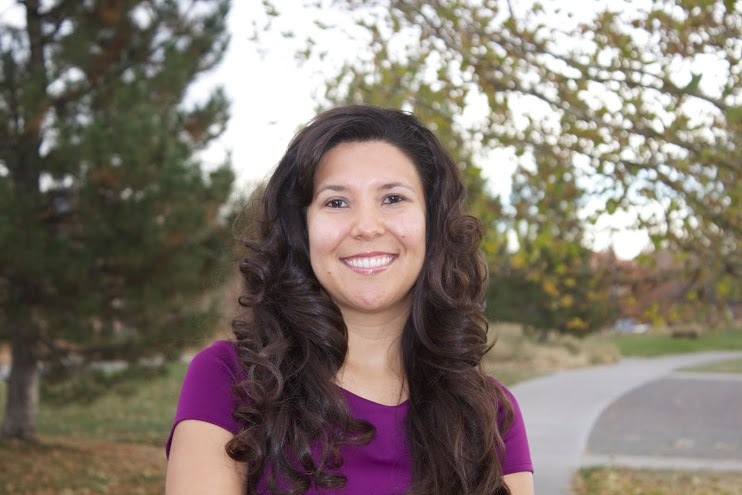 Milagros Barsallo: In our landscape in Colorado, but also in the national landscape of family engagement, what we see are two different types of opportunities for families to get involved in the school system. On the one hand, we see opportunities for learning either through a liaison in schools or an educational organization that might provide workshops for parents. For the most part, families are not being offered big picture information that the rest of us have about the opportunity gap or opportunities tied to action. On the flip side, we’re also seeing a lot of opportunities that involve action, like opportunities for families to write to their legislators or get involved in testimony for policies. In these situations, low-income families and families of color are asked to get involved in the 11th hour after somebody else has made the decision about what’s best for their communities, and they are not part of that decision-making process. RISE was founded to fill that gap. Veronica Palmer: Our families are architects of policy, not objects of policy. We have a theory of change that is also very different from other organizations. We believe that those most impacted by the inequity that exists must lead the movement for themselves. Women led the suffrage movement, Cesar Chavez and farmworkers led the farmworkers movement and Dr. Martin Luther King, Jr. and African Americans led the civil rights movement. Who is most impacted by educational inequity? Low-income families and families of color, therefore they must be the ones to lead the movement in order for us to ever truly achieve educational equity. Pennington: RISE educates, engages and empowers parents. What does this look like? Barsallo: We created our model to meet families where they’re at. First, we educate them about the opportunity gap that their kids are facing through workshops that we do in collaboration with schools and community partners. Then we engage them and teach them how to organize and take on the campaigns they want to take on and offer solutions that they think will improve academic achievement. Then we empower them to seek elected or appointed leadership at school or district levels so that they can actually implement those changes and see academic achievement improve for low-income children and children of color. Palmer: We actually don’t see ourselves as an advocacy organization because the definition of advocacy itself is doing something on behalf of somebody else. Our model is that we don’t do anything for our families that they can’t do for themselves. We believe that they can change the system themselves with the right knowledge, opportunities, and supports. We see ourselves as a family engagement organization that empowers families to rise up to be change agents to create the systemic change we need in education. Pennington: Can you talk about how you identify the communities you work with? Palmer: We chose Aurora, Colorado because we did a landscape analysis of what was happening in Denver and the surrounding communities and we thought we would have the most reach in Aurora. Aurora is the most diverse school district and city in the state. It is also an official refugee resettlement city. In looking at the gentrification that is happening in Denver – it’s increasingly becoming an affluent, white city – many of our low-income families and families of color are moving to Aurora because the cost of living is a lot cheaper. As more families of color move here, we really wanted to build that foundation so that as even more families move here, we’re ready for them to be actively involved in their children’s education and really turn the system around. Pennington: Do you have plans to work beyond Aurora or do you think your work will reside there for the foreseeable future? Barsallo: We continuously get requests to go everywhere from Denver, to St. Louis, to Boston, to New Orleans to grow our work because our model is really different from other efforts happening in family engagement. Our model is focused on the fact that each community knows what’s best for the kids in that community. Over the next five years, we want to ensure that we are creating a proof of concept for our model. When we think about growing, we’re thinking about who the leaders in different communities are who are asking for RISE. We hope that those leaders can take ownership of the effort in those communities. But that’s down the line. Right now we’re focusing on Aurora because we want to go deep into this community. A lot of efforts to improve public education are short-lived, but that’s not how we get sustainable change. Empowering disenfranchised communities is a long-term commitment. So we’re in Aurora for the foreseeable future engaging our families here. Palmer: We’re growing organically. We see our movement building through our families. We’ve seen some of our families move outside of Aurora and take the leadership development and training with them to the new communities they move to and use it to empower not only their own families, but the communities around them. Pennington: What policy changes would your families like to see at the local or national level? Palmer: Our families want to see all-day preschool. In Aurora, we have half-day preschool and there is no school on Wednesdays, so [kids] get 11 ½ hours of school per week. If [our families] work, they aren’t there to drop [their kids] off or pick them up since it’s a half day. If they don’t work, they can’t help their family economically and build their mobility within the system. But also they understand that their children are not getting the full-day rigor of preschool that they need to be kindergarten ready. Our families know the opportunity gap will already begin if their children aren’t in school all day receiving a rigorous education. Our families are feeling really frustrated by this. How can we ever close [the opportunity gap] if we don’t have quality, full-day opportunities? Barsallo: Another issue our families have surfaced is support for English Language Learners. In Aurora, there are more than 120 languages. There are more students in our schools who are English Language Learners than not, and over 80 percent of them are native Spanish speakers. There’s a complete lack of support for English Language Learners both through the curriculum and professional development for teachers on how to support ELL students. Pennington: What are policy barriers you and the families you work with have experienced? Palmer: The leadership from the city council to the board of education is not reflective of the community. In order to create policy changes that our families feel are most necessary to improve academic achievement, we need leadership that is reflective of the community and understands the day-to-day pressures and issues the community faces. We’re helping to prepare our families to one day obtain those seats of power to create the change in policy we need to see. Pennington: What are some of your success stories? Palmer: Our families organized to get summer homework resources to support their children’s learning. They met with their school leaders and they effectively advocated to get a summer homework calendar, and now they’re advocating to get a year-round calendar. They’re also advocating to get a change in district policy so that even if leaders turnover in the schools, families will always be provided with resources and tools to support their children at home. On the empowerment front, we have three parents who were appointed to the Colorado Preschool Program advisory committee, which oversees district-wide preschool quality and access. Pennington: And what about your biggest challenges? Palmer: Our biggest challenge has been being young, women of color entrepreneurs. And Latinas specifically. There are really weird stereotypes and assumptions about us that bleed into our work. People question our expertise and experience. We’ve been told that our enthusiasm is overwhelming. That we’re too excited. This feeds into the stereotype that we’re passionate Latinas and we’re too excited about what we do. We don’t understand why that is a bad thing. You have to have excitement and be passionate to do this work because it’s on-the-ground work that is necessary and hard. We feel like our white counterparts aren’t asked these same questions or put through the same level of scrutiny. We’ve seen white people our age or younger doing this type of work and they’ve shared with us that they’re never questioned in the same way we are. Barsallo: The larger challenge we face in our work is the reality that many people who are working in public education believe that our communities don’t have value in creating what change should happen. We look around and even those working for low-income children and children of color are not working with their families. That is insane to us. How are you going to have any kind of change—short term or sustainable—if you are not working with the community that is most impacted? We see such a need for the people who are currently leading the movement for educational equity to take a step back. It is not their turn, or our turn to lead. It is the turn of the families and communities who are most impacted by this issue. When we understand that and engage them, then we are going to be able to create sustainable change in the education system. Until then, we’re promoting the same systems and history where upper-class, middle-aged white people make decisions for communities of color. Palmer: We’ve had really great support from local funders, but in general we’re also seeing a lot of talk and not a lot of walk from funders and diversity advocates who say they want to fund diverse organizations who have people of color at the helm. Who have a mission and vision that serves low-income families and families of color. They say they really want to invest in leaders of color. And we’re like “here we are.” We’re leaders of color. We’re well-educated women who have experience to back us up. We’re from this community. And still, when it’s time to fund or support us, they find reasons not to. We need to really push back on the system. They say they want these things, but we find that they’re not ready for a diverse perspective. We know that we have a different orientation to this work. Our mission and vision is very rooted in the community. It’s about listening to families and letting them build a movement. Not us. And people aren’t ready for that. It’s no mystery why there aren’t that many people of color leaders running nonprofits because the support financially and emotionally is very limited. It’s a huge problem in the nonprofit and for-profit sectors. 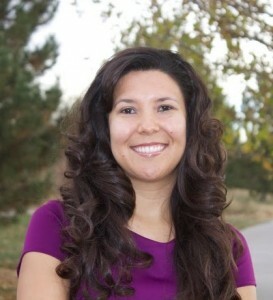 This entry was posted in Education Innovation, Education Policy, State Education Policy and tagged Bright Spots Award, early childhood education, English Language Learners, Hispanic Heritage Month, parent advocacy, pre-k, RISE Colorado, White House Initiative on Educational Excellence for Hispanics on October 13, 2015 by Kaitlin Pennington.